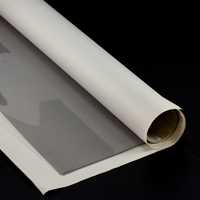 Strataglass clear vinyl sheets are designed for optimal visual clarity. Defined by flexibility, longevity, and scratch resistance, this outdoor fabric is sure to meet your clients’ needs. Strataglass press-polished, clear vinyl sheets offer the top performance attributes desired. They are ideal for marine canvas, industrial, automotive, and tent applications. 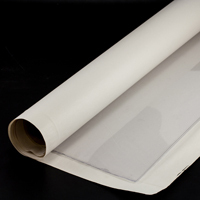 These waterproof, vinyl sheets perform well in boat curtains, automotive windows, and awnings. The marine fabric sheets block out nearly 100% of harmful UV light and resist runoff, fallout, and overspray. The coated fabric prevents leaching from industrial fallout for a cleaner, longer lifespan. Strataglass marine-grade products are a sustainable, American-made product. Shop below to fit the needs of any plastic sheeting project.